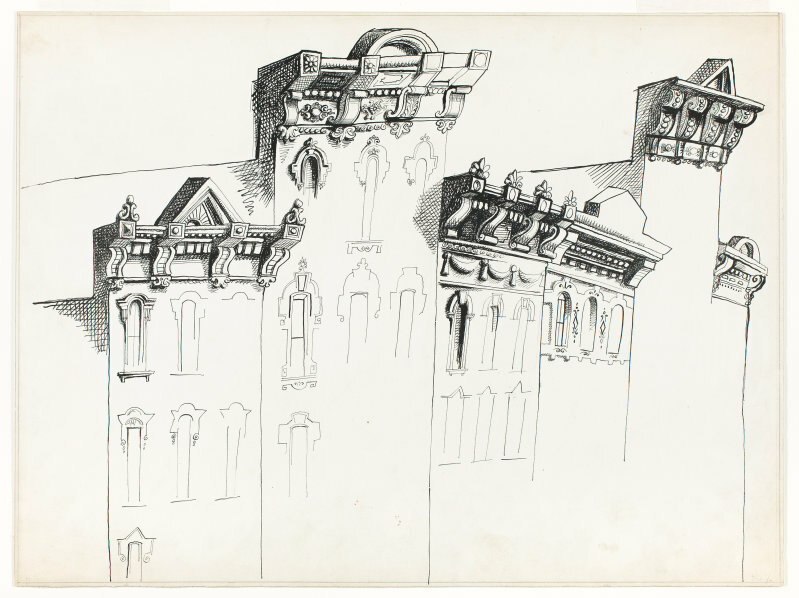 Saul Steinberg drawing at CAI. 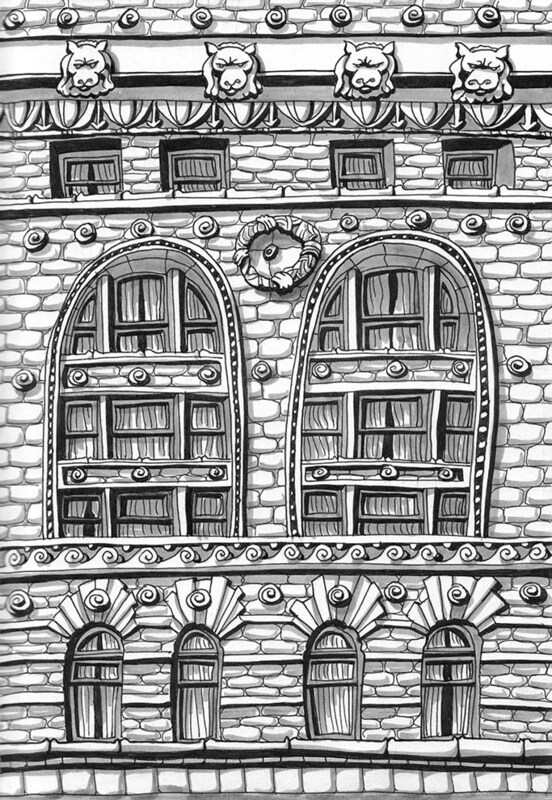 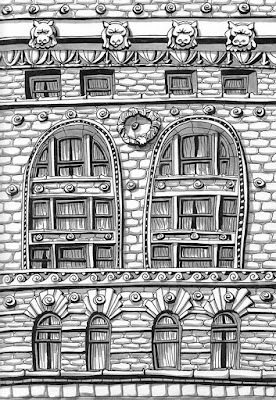 I saw the Saul Steinberg exhibit at the Chicago Art Institute and was inspired to try his more minimal, high-contrast style of capturing architecture. 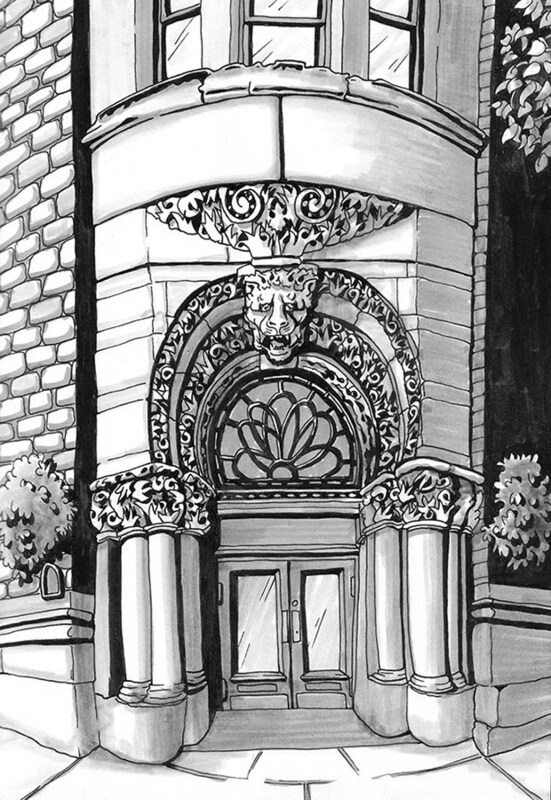 I did a couple while still in Chicago, and continue to explore drawing without ink washes now that I'm home. 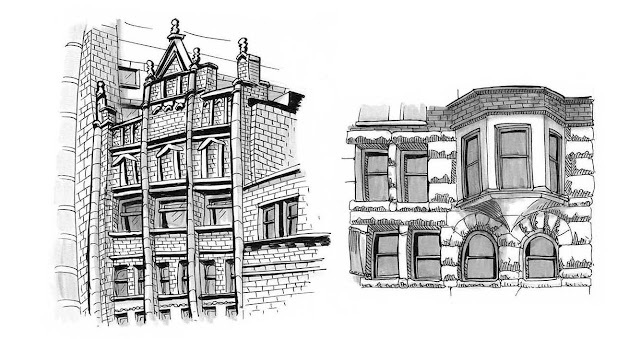 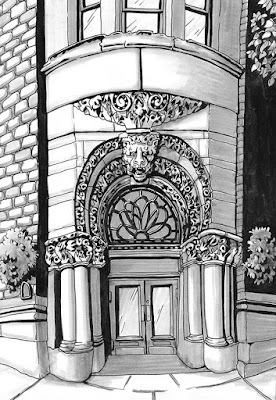 An added bonus is seeing my town through different eyes and a whole new subject to look for when sketching. 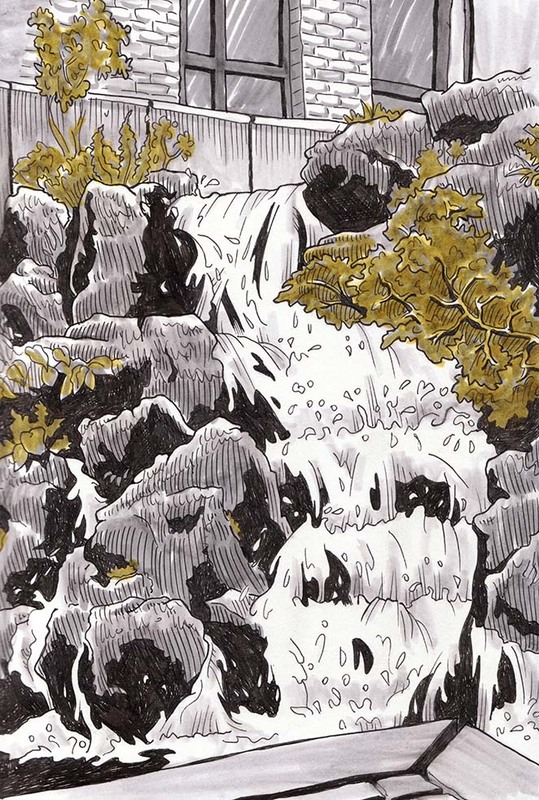 Then for something completely different tried to draw the running water at the Waterfall Garden.